Cakes, Cuppies And Other Confections: Every mother deserves flowers! Mother’s Day always makes me think of flowers. I think about the cards children make their mothers in pre-school using finger paints to make flowers on the paper. I think about all the bouquets being sent around the world to Mothers who might live far away. I think about my Mother, whose mother’s day wish was her 3 children helping her garden. I bake though! I thought this year…why couldn’t I incorporate flowers into my baking? 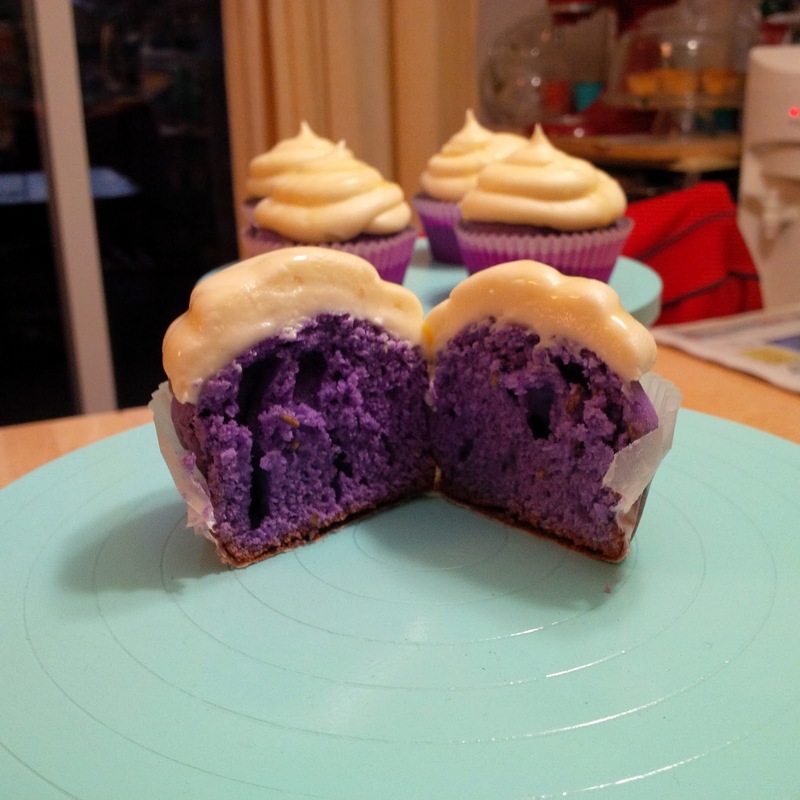 I found some recipes for lavender cupcakes and some dried lavender buds at my local health food store and got to baking. 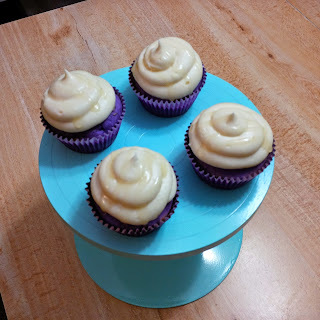 These lavender-honey cupcakes are delicious! You get that beautiful, flowery smell from the lavender, but it definitely is not over powering. The cream cheese buttercream has a touch of honey which really adds sweetness to the overall cupcake. I really enjoyed trying something new and unexpected and the results were fabulous and having the lavender colour in them just put these cupcakes over the top! 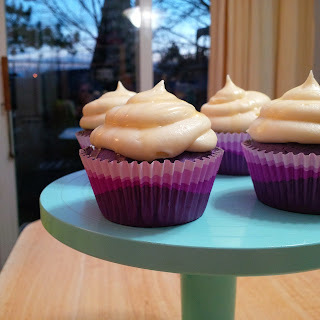 These cupcakes would complement any summer celebration. Notice my new cake stands? They were a little side project. They are old pottery wheels that I took apart and sanded, repainted and put back together. They are heavy duty, made of metal and the tops spin. Good find!